We’d love your help. Let us know what’s wrong with this preview of Tizzie by P.D.R. Lindsay. To ask other readers questions about Tizzie, please sign up. I am delighted to show off reviews from the Review blog by Louise Rule and A.K. Bell of the Historical novel Society. They loved Tizzie too! Review by Louise E. Rule. I have a great interest in book covers, and what goes into the making of a great cover. The cover design for Tizzie, by Dawn Keur, gives abstract clues about what lies within, and I like that conundrum. For example, the countryside to the left, the quintessential Yorkshi I am delighted to show off reviews from the Review blog by Louise Rule and A.K. Bell of the Historical novel Society. They loved Tizzie too! I have a great interest in book covers, and what goes into the making of a great cover. The cover design for Tizzie, by Dawn Keur, gives abstract clues about what lies within, and I like that conundrum. For example, the countryside to the left, the quintessential Yorkshire landscape, and the staircase to the right. What could that staircase mean? Keur's cover design is such that it filled me with a need to look inside. It is only after one starts to read the book, however, that the clues on the cover gradually reveal themselves. This is a book which demonstrates the stark contrast between the life of the single woman and the married woman in the 19th century. P.D.R. Lindsay’s story is written in retrospect, first beginning in the summer of 1897, then regressing to January of 1887. The story takes place during 1887, with each chapter being headed as a season and a month, which gives a palpable sense of progress through the farming year. Our eponymous character, more to the point, our heroine, works on the family’s farm in Yorkshire, inherited by her brother, Jack Cawthra, and his wife, Maggie. The work is hard, and Tizzie is expected to do so much more than her fair share of the work, which includes not only milking the cows, and making the cheese and butter for the family, but also making and selling butter and cheese on market days. Tizzie’s niece, Agnes, who is ten years of age, is set to follow in her aunt’s footsteps if her father and mother have anything to do with it. Tizzie is determined not to let this happen. Agnes is treated badly by all except her aunt, so she cleaves to her as her only companion and comfort. Agnes’ brothers are given every advantage, as was often the way in the 19th century, but Agnes, who is a bright scholar and has dreams of becoming a teacher, is destined to be a drudge for her eldest brother when he takes a farm of his own. This is where this riveting story really begins, as Lindsay cleverly reveals, little by little, the story of Tizzie. Lindsay begins her story in media res, hooking the reader immediately into Tizzie’s world. Straight away Lindsay has made the reader aware that there is a history of friction between Tizzie and her brother, and that he has her life mapped out for her. For me, her life equates to familial slavery, as each member of the family treats Tizzie with such disdain, and as Lindsay takes us through the following events, page by page, it is evident that Tizzie feels this too. This short extract is very revealing. The bullying brother, the cold weather, the hard work, and clothes that were homemade, by cloth woven by themselves, painting vividly the divide between the farming community and the local gentry. The book is narrated throughout in the Yorkshire dialect, but not so heavily as to be unreadable. At times I was unsure if it was Tizzie narrating the story, or was it her thoughts. I even considered that it was the person relating the past events, but there are many moments of which that person would not have been aware. Eventually, therefore, I decided it was a way of keeping the story firmly set within the bounds of Yorkshire, especially as there were many dialectal words used throughout, not only in the narration, but, of course, in the speech of the characters. The characters are well formed. I could imagine them clearly in my mind’s eye: how they looked, how they dressed, how their voices sounded, and their mannerisms. These traits Lindsay has cleverly woven into the story without the descriptions being obvious and intrusive, rendering a gentle assimilation of the characters into the readers psyche, if you will. I love language, and dialectal language particularly. I did find that I had to look up some of the dialectal words as their meanings were not evident to me. This was easily done with the help of a good dictionary. For example, Hagman Heigh was easy enough, Hogmanay, but shippon and lanthorns I had to look up. They mean cattle shed, and lanthorns is an archaic spelling for lanterns. Two more words, which I found completely baffling, were thole and snecked. Thole is archaic Scottish and means ensure without complaint, and snecked means latch on a door or window – (opened or closed). I read them out loud and loved how they sounded. Using language in this way adds layers to a story that would otherwise have been missing, and the story lacking because of it. It also adds authenticity to the characters. I quickly began to have a great admiration for Tizzie, not only in she as a person, but in what she is able to achieve throughout her working day. Then there is her unequivocal love for Agnes, the daughter that she would never have, and here we are quickly brought to understand that Agnes is her driving force, a driving force which carries the story forward. Although the story starts slowly at first, it gradually builds into an ever increasing battle of dilemmas, taking the reader on such a ride, that the bucolic scene of milking cows and the quintessential dairy maid ideal, with buckets of milk hanging around her neck on a yoke, are quickly dashed. The harsh and often brutal reality of life on a farm in the late 19th century, entwined with the habitual cruelty that Tizzie and her niece, Agnes, have to endure is heart-breaking. Will Tizzie and Agnes ever have a better life to enjoy? Will brother Jack and sister-in-law Maggie ever appreciate all the hard work that Tizzie does? Or will their lives just get harsher? There are so many questions needing answers as the story progresses. In conclusion, I would have to say that Lindsay’s unique style of prose has the subtlety of being able to manipulate the reader into the belief that they themselves could actually help Tizzie and Agnes. Whether it is the continued use of the Yorkshire dialect, or whether it is the undeniable investment the reader gives to the characters, I am not sure. What I would say is this: whichever it is, or maybe it’s both, Lindsay succeeds in such a way that on finishing the book I was surprised to find that I was, in fact, still in the twenty-first century, and not back in the nineteenth century, so wrapped up was I in the story. My original plan was to give this 4 stars - I was thinking to myself (now that's a strange phrase, isn't it? After all, who else would I be thinking to???) that I really, really liked it, probably 4 1/2 stars worth, but that I couldn't say "it's amazing" because I don't think it's a book that's going to "stay with me a long time / forever". However, once I started writing this review (and this part is a prequel) I had to look for phrases that I wanted to quote and that took me forever because th My original plan was to give this 4 stars - I was thinking to myself (now that's a strange phrase, isn't it? After all, who else would I be thinking to???) that I really, really liked it, probably 4 1/2 stars worth, but that I couldn't say "it's amazing" because I don't think it's a book that's going to "stay with me a long time / forever". However, once I started writing this review (and this part is a prequel) I had to look for phrases that I wanted to quote and that took me forever because there are so many, and because I got caught up reading large segments all over again, and I was getting emotionally involved again and so angry with some of the people in this book and so wrapped up in Tizzie's appreciation of the world .... and when this gets made into a movie (hey, p.d.r., have you sent it to a scriptwriter yet?) I'm going to be its biggest fan. So it gets 5 stars! Tizzie is 29 and an old maid. It's 1887 and it's the duty of any last girls in families to stay at home and do the milking and the cheese-making and the gardening and the cleaning and the cooking and the ...... It's hard work for everybody, actually. But Tizzie is worked like a slave for her brother (and his wife) who took over the farm when their father died. Maggie's voice was her Sunday-in-church voice, clipped and proper. She did not raise it or spit the words with venom, but Tizzie heard undertones that set hairs at the nape of her neck prickling in warning. What a very good book. I was provided this book from good reads first reads and was going to put this one off a little while because it is not my typical genre of reading. I am so glad I didn't wait. The book takes place in the 1880's and it was really frustrating to experience how little say & respect women actually had at that time in our history. Tizzie was a hard working dairy maid who worked and lived on her brother's farm and did everything for her family. She spent years doing everythin What a very good book. I was provided this book from good reads first reads and was going to put this one off a little while because it is not my typical genre of reading. I am so glad I didn't wait. Tizzie was a hard working dairy maid who worked and lived on her brother's farm and did everything for her family. She spent years doing everything they needed with a smile on her face and love for her family. Tizzie had a niece named Agnes who was her heart & joy. Agnes was mistreated by her parents regularly and they thwarted every effort Agnes made to go to school and learn to be a teacher. Her place was working in the dairy and then supporting her brother's dairy as her aunt had. Tizzie began to realize how scheming and conniving her brother and sister in law actually were and how her life and opportunities were taken without her knowledge. She recognized the same thing happening to her beloved niece and vowed to ensure that Agnes's life would not turn out like hers no matter what it took. I found myself rooting for Tizzie and frustrated at how hard it was for her to accomplish her goals because of her family and because she was a women. I wanted her to succeed for herself and her niece and was hoping she would also find love even though for that time it was late in her life (she was only 29). 36 thought the cover was good or excellent. 37 thought the narrative style was excellent. 37 felt the author’s ability to describe setting and character was well developed. 35 would read another book by this author. A well researched historical fiction novel. The reader becomes part of Tizzie's world, her social standing and that of women during the period, the seasonal routines of farming and the community in which Tizzie lives. I particularly enjoyed the language and imagery used by the author. There are some truly enlightened phrases, descriptions and expressions all fitting the pastoral scenes. The ending took me by surprise! It is late 1880s in Yorkshire, and at 29 years of age Tizzie was already considered an old maid. Thinking her one chance of love and marriage had passed her by, she settles into a life of hard work and drudgery as dairymaid on the farm of her brother Jack, his wife Maggie, their three boys and one daughter, Agnes. Tizzie is to teach Agnes the skills of dairymaid to one day become her successor, but Tizzie thinks Agnes is a bright girl deserving of an education and better life. In doing so, Tizzi It is late 1880s in Yorkshire, and at 29 years of age Tizzie was already considered an old maid. Thinking her one chance of love and marriage had passed her by, she settles into a life of hard work and drudgery as dairymaid on the farm of her brother Jack, his wife Maggie, their three boys and one daughter, Agnes. Tizzie is to teach Agnes the skills of dairymaid to one day become her successor, but Tizzie thinks Agnes is a bright girl deserving of an education and better life. In doing so, Tizzie uncovers Jack and Maggie’s plans to enslave Agnes as they have Tizzie. The character development and scenery descriptions were very well done. So much so that you could easily envisage in your mind’s eye the house, dairy, farm and surrounds. Character descriptions were equally vivid, causing me to mistrust Maggie soon after meeting her. And that son Michael, was he a spiteful bully! I loved Agnes and Tizzie - felt I knew them personally. I loved that story were told in Yorkshire voice, it were right proper and made story come alive, did. Sounded like my Nan when she used to tell me stories about when she was a girl when I was little. I could hear her voice again - nice and comfy it were. The ending wasn't expected though. You get a hint in the beginning that something will happen with Tizzie, and in the last 20 or so pages I started to get a feeling of foreboding. A story that was easy to become involved in, had me anxious to return each time I had to put it down, and one I would highly recommend. Keep a clutch of tissues handy. This was a sad story about a kind woman, Tizzie, who does all she can to make sure her niece Agnes has the opportunities that were denied her. I liked the strength in Tizzie's character and learning about life as an English dairymaid in 1887. My review based solely on the sample: not literary enough. It took me a long time to get into and then finish this book as other things in my life kept getting in the way. Because of that I initially struggled with the Yorkshire dialect in the narrative. I expected it in the dialogue, but somehow thought the narrative would be the author's voice. Once I had the time to read more than two pages at a time, I realised the author had written the story from the POV of a Yorkshire person, complete with their idioms, and from then on the natural rhythms entere It took me a long time to get into and then finish this book as other things in my life kept getting in the way. Because of that I initially struggled with the Yorkshire dialect in the narrative. I expected it in the dialogue, but somehow thought the narrative would be the author's voice. Once I had the time to read more than two pages at a time, I realised the author had written the story from the POV of a Yorkshire person, complete with their idioms, and from then on the natural rhythms entered my brain and it flowed along very well. Tizzie, as with many stories of that era, has lots of trials and tribulations to overcome, not least the outright vindictiveness from people she should have expected would care for her. I wanted to keep turning the page to find out what happened to her, surely things couldn't get worse. 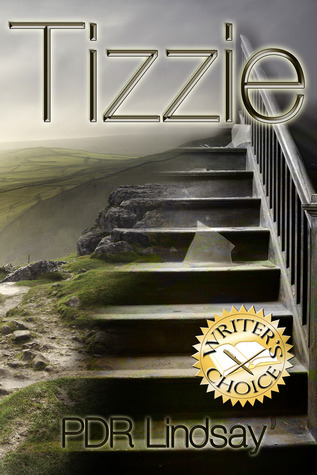 Tizzie was one of those reads that you get emotionally involved in - a sure sign that it is a 5 star read. The characters were varied and well described. The setting was delicious. The history of farming in the Yorkshire Dales was fascinating and saddening. I fell in love with Tizzie and Agnes, and felt hatred towards Maggie and Mike. The way Tizzie cared for her dairy cows and the description of milking and cheese making makes me want to buy a house cow and give cheese making a go! If you are a Tizzie was one of those reads that you get emotionally involved in - a sure sign that it is a 5 star read. The characters were varied and well described. The setting was delicious. The history of farming in the Yorkshire Dales was fascinating and saddening. I fell in love with Tizzie and Agnes, and felt hatred towards Maggie and Mike. The way Tizzie cared for her dairy cows and the description of milking and cheese making makes me want to buy a house cow and give cheese making a go! It took a while to get into, and the speech patterns were a little off putting at first, but once the story caught me I couldn’t put it down. The characters were very well rounded and came across as extremely real. It’s written in such a way that you can almost see the village green and smell the dairy shed. It doesn’t bore you with too much description, instead giving you just enough to let your imagination flesh out the details itself. I received a complimentary copy I really enjoyed this book. I love how Tizzie and her niece Agnes had a special relationship together and they're bonded very well...I don't think that Tizzie didn't get along with her nephews but trying to bond them so she only had Agnes on her side since her brothers were mean to her and bully her as well too.. Looking forward to see more this author soon... I only had 62 pages left and that was it! Tizzie lives is harsh life and strives to make the life of Agnes better than her own . I really enjoyed reading the book which colourfully depicts life of women in the 1800s . Though these times are past, unfortunately women still suffer in our world today of similar lives and it is good to be reminded of that fact. Thank you to the authour and Voracious Readers Only for this complimentary copy. What a fantastic read! Cinderella for grown ups. Couldn't put this book down once I'd started it. The ending wasn't what I was expecting. Definitely worth reading it would be great if there was a sequel. What a sensational book! A story that needed to be told for all our women forebearers who never had a life if their own. This woman exemplifies the spirit that cannot be killed. This is a difficult book to absorb as women in our generation have choices, still limited, but choices all the same. In this book's setting, late 1800's, a naive woman of little education and secluded life had miniscule choices and no support. A veritable slave to her unloving family. Tizzie has determined that her beloved niece not have to live the life she has borne. Her courage is remarkable under the circumstances. I became more angry by the page as this author paints Tizzie's insulated world as she courageously plows through the greedy plots and machinations of her family unit.